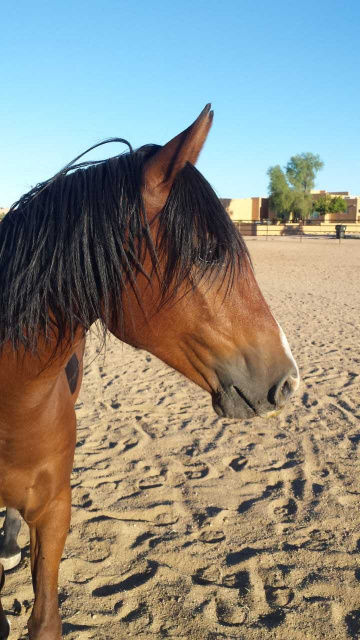 Young Stallion - He has been through so much via the round up of his family by Asarco Mine near Sahuarita, AZ. He is not gelded yet. Birth year 2015. He can be adopted to the right person but would not be allowed to leave our ranch until he's gelded. He would require a very experienced Natural Horseman or an adopter with a Natural Horsemanship Trainer. Registered Thoroughbred Mare. She has had ground training and some riding lessons. She was born in 1995 and she has her registration papers. Star would most likely be suited as a companion horse or a beautiful vision in your pasture. Beautiful, blind Arabian. Birth year 2001. She loves to ride and she loads into a trailer like a dream. 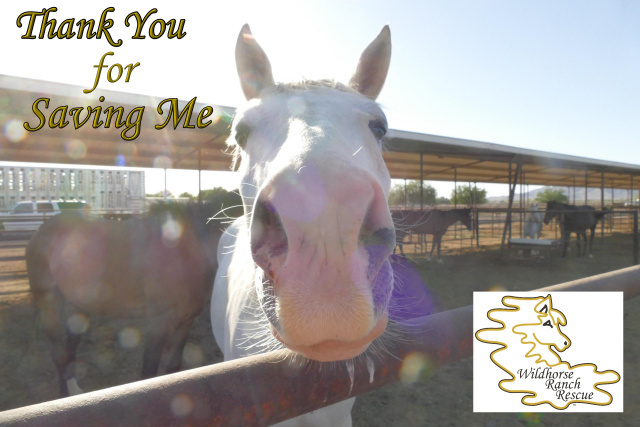 We can provide specialized training to her adopter to help with the unique skills required to handle a blind horse. She has a bumper guard mask and that helps her navigate when she is not being ridden. 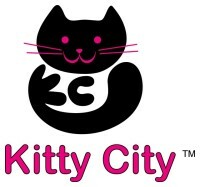 Adoption Fee $550. Whiskey has been Adopted! Young mare, rescued from auction 6/2/2018. She is completely green. 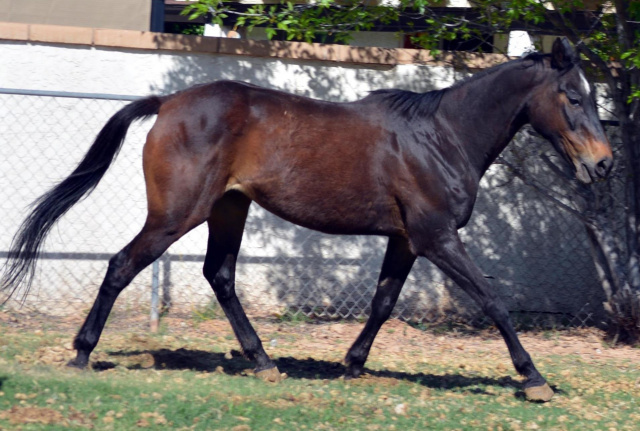 She would need a very experienced handler or an adopter with a Natural Horsemanship Trainer. 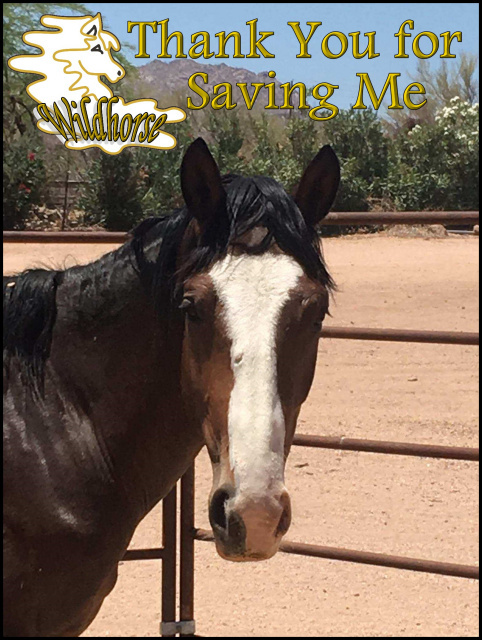 Young Stallion - He has been through so much via the round up of his family by Asarco Mine near Sahuarita, AZ. Birth year 2015. He can be adopted to the right person but would not be allowed to leave our ranch until he's gelded. 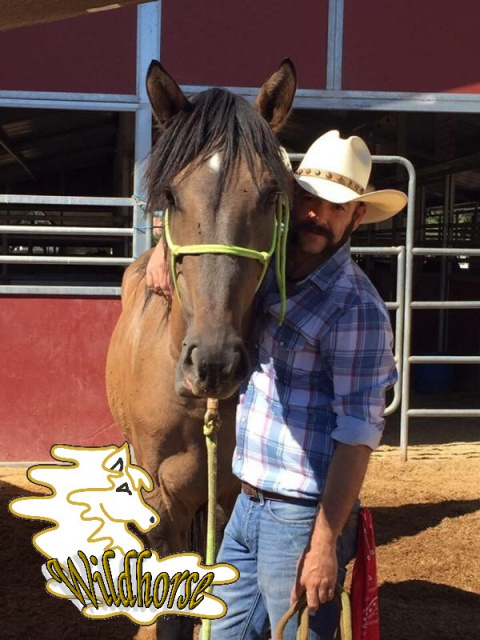 He would require a very experienced Natural Horseman or an adopter with a Natural Horsemanship Trainer. Adopted ! Cheyenne has been gentled, gelded and adopted! Young gelding. Handsome. Has received training and been under saddle several times. 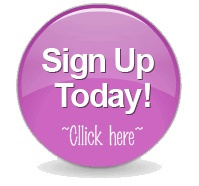 Needs experienced handler or adopter with a Natural Horsemanship Trainer. 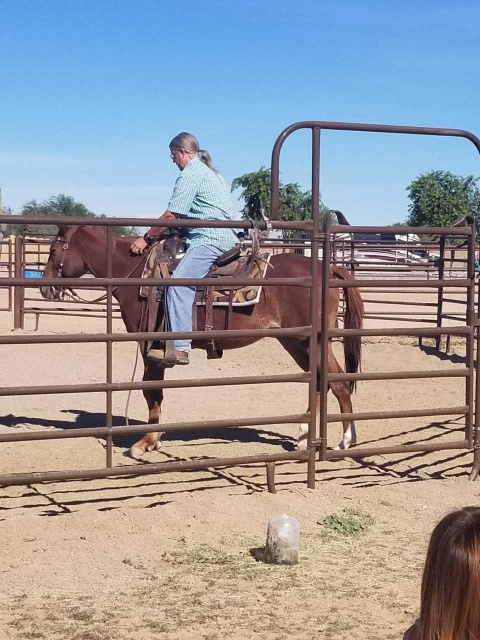 Tall, Gray Gelding rescued at 6/2/18 Auction. Birth year 2012. Mel is super sweet and wants to trust. He's been through a lot with his round up and then being sent to auction. Wild Mamma and her baby trapped by Asarco Mine near Sahuarita, AZ and picked up by AZ Dept of AG. 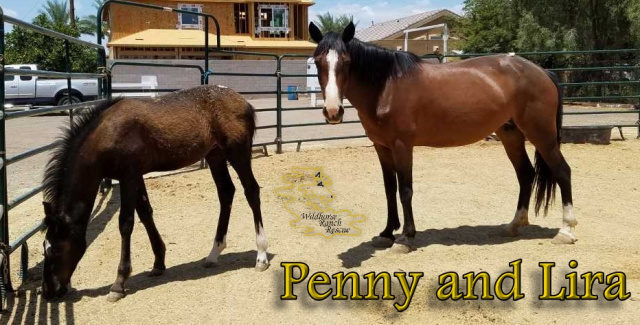 We purchased them and saved their lives at the auction on June 2, 2018 in Buckeye,AZ. They must go together. 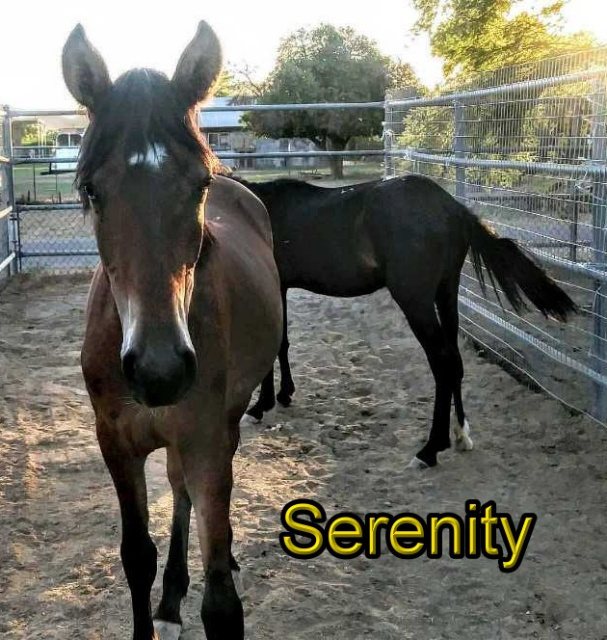 This pair requires an experienced handler or adopter with a Natural Horsemanship Trainer. Young mare, rescued from auction 6/2/2018. She's been under saddle a few times. 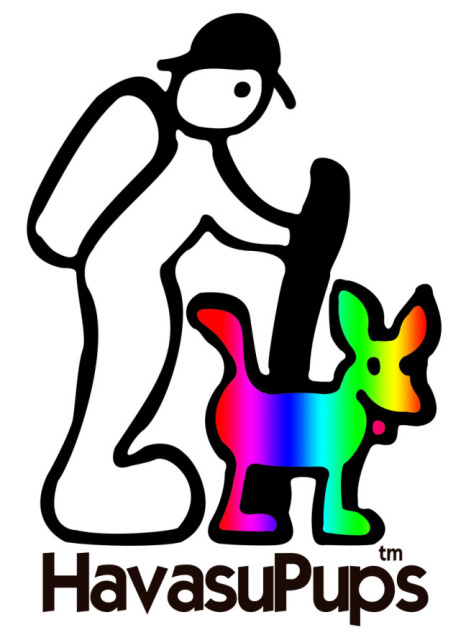 Would need an experienced handler or an adopter with a Natural Horsemanship Trainer. Cheyenne has been removed from our adoptable list, as it turns out, she is pregnant. 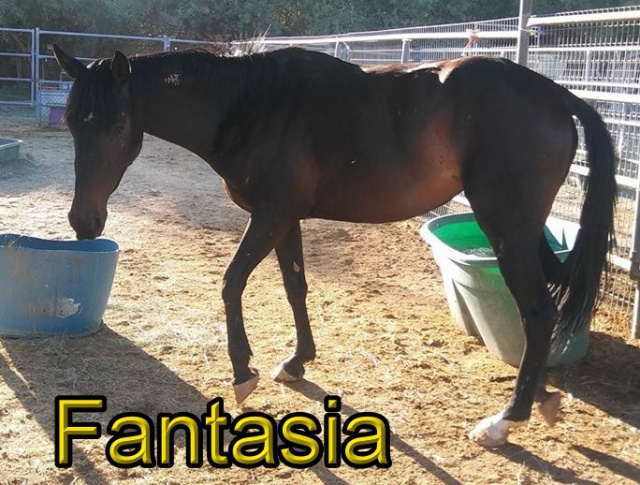 Fantasia has been removed from our adoptable list, as it turns out, she is pregnant.